School built by Thai monk blends academia, applied technology, and spiritualism into a community-transforming phenomenon. The "Solar School's" main building in the background, and one of the school's many projects in the foreground. 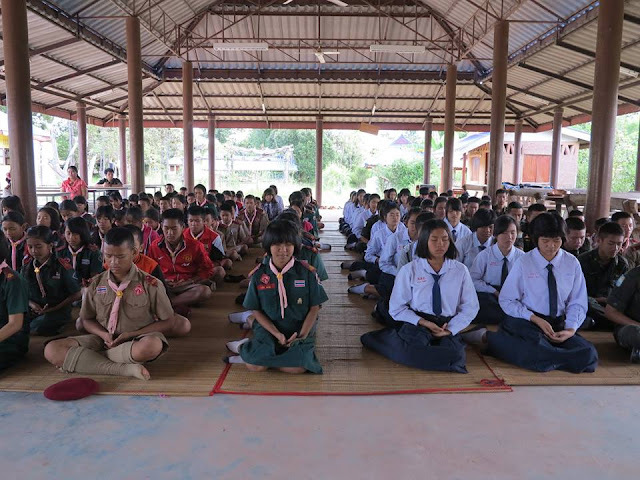 Sisaengtham School is open for high school-level students and was founded in 2010, focusing on self-sufficiency, the environment, and the principles and philosophy of Buddhism. 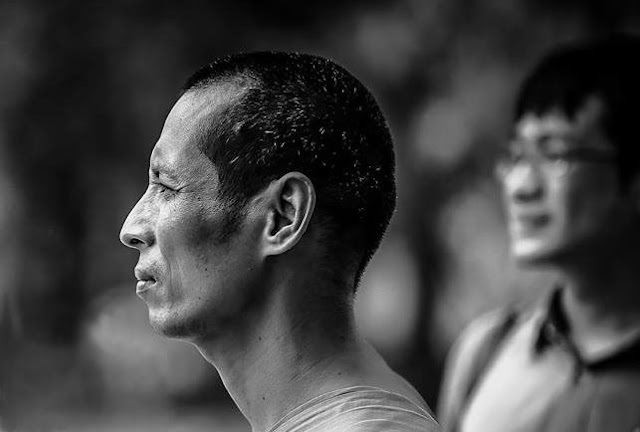 Its founder, Prakruwimolpanyakhun (Monk-Teacher Wimolpanyakhun) also known as “the Solar Monk,” looked for the best way he could make an impact on both his community and his nation and decided founding a school would be the solution. A good community starts with good people, and that is what Prakruwimolpanyakhun’s Sisaengtham School sets out to create. So dedicated to this goal, Prakruwimolpanyakhun sold his own home to raise money to build the school. The school is situated near the temple he is the abbot of, located in the forest of Thailand’s northeastern Ubon Ratchathani province. The first task the school set about accomplishing was improving literacy. Prakruwimolpanyakhun believed that no progress at all could be made in other areas if something as simple as reading and writing was still a challenge. From basic literacy the school has evolved to teach other essential skills often overlooked by more traditional education systems. 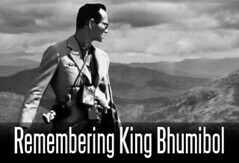 For example, the concept of self-sufficiency has become central, in part because of practical necessities, and in part because of Thailand’s national policy of promoting local and national self-sufficiency and sustainability, ceaselessly advocated by Thailand’s head of state, King Bhumibol Adulyadej. 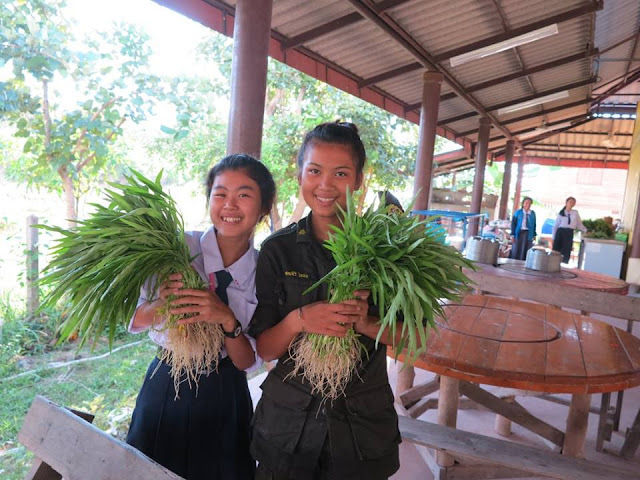 Organic produce grown at the school both feeds students and raises extra income for the school. It also teaches students the fundamental skills required to feed a community. Like cells in a healthy body, self-sufficient and sustainable communities add up to a self-sufficient and sustainable country. Being able to grow your own food, produce your own power and clean drinking water, and having mastery over the basic skills necessary to build and improve one’s own community short circuits many of the imbalances and “bubbles” often seen and bred by our over-dependence on equally over-globalized markets, governments, and economies. The school itself therefore focuses on teaching these basic skills. And it does not do so theoretically, but practically and quite literally hands-on. 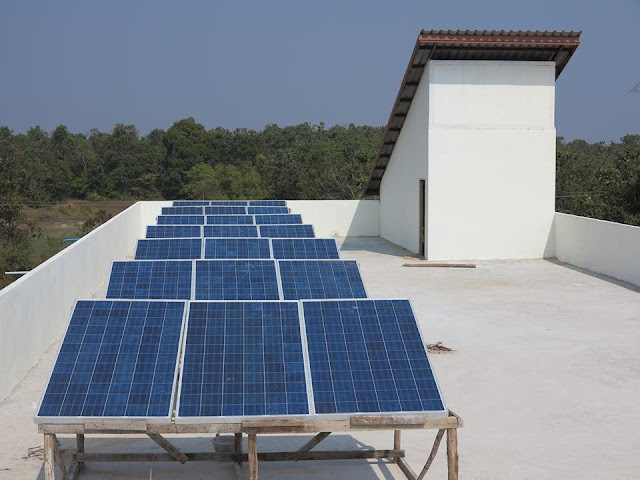 Some of the solar arrays on the roof of the school's main building, which have eliminated the school's dependency on traditional power sources. 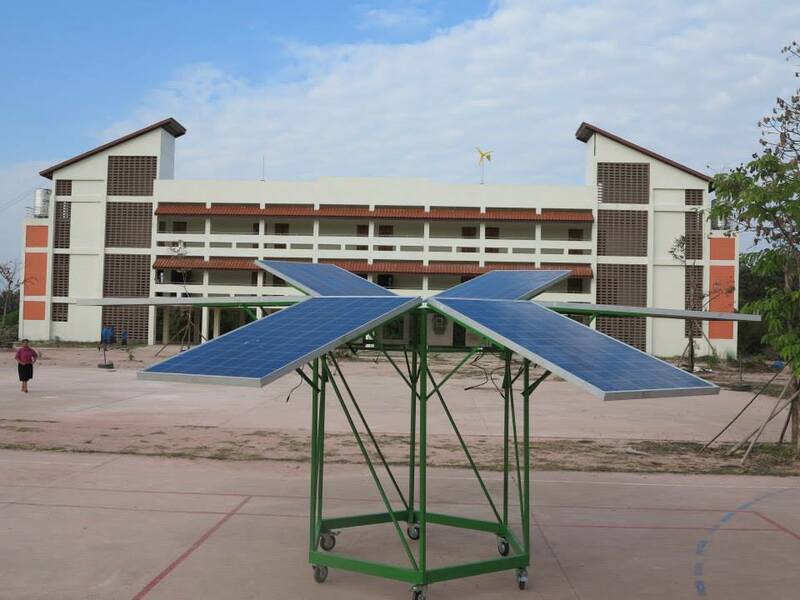 The school depends on solar power for electricity, the food students eat is grown there at the school by the students, and income for the school since tuition is free, comes from projects students work on using their newly acquired skills. Through these projects students also end up earning extra income before their studies are even complete. So why is Prakruwimolpanyakhun known as the “Solar Monk?” Unlike in a typical school where electricity is usually taken for granted as a common utility, and at best a passing theoretical subject in science class, the school’s dependency on solar power and the need to maintain the entire system on site, gives students an opportunity to understand, observe, and directly work with the entire system. Prakruwimolpanyakhun, the "Solar Monk." With no opportunities to study when he was younger, he has dedicated his life to building a school and helping others study. 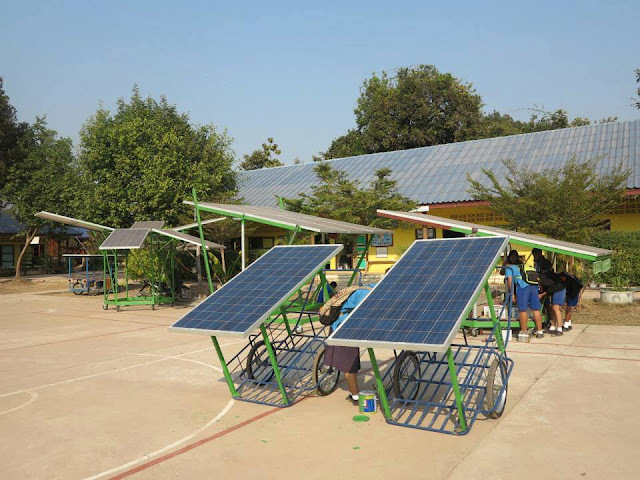 What began as a single broken solar system that was repaired and used to demonstrate charging mobile phone batteries and lighting a lamp, expanded into a school “renewable energy club,” and eventually into the solar grid that now fully powers the school, dropping monthly cost from 170 USD to 1 USD a month (a fee paid to keep the meter still hooked up to the national grid). The Solar Monk and his Solar School eventually gained media attention in Thailand when he and his students won a national renewable energy competition. From a classroom demonstration, to a power system lighting the school, the Solar Monk and his students have gone on to “electrify” the surrounding community as well. Simple mobile solar power systems allow farmers to power water pumps around their farms. usually this is done with gas powered tractors. Solar panels are usually fixed in place, so this simple innovation helps greatly increase their versatility. They have developed a mobile charging system for use with agricultural water pumps, essential for Thailand’s rice farmers to flood and drain rice paddies throughout the growing season, and have helped power local homes as well. It may seem like a tired cliche, to change the world, change yourself first. But the Solar Monk and his students have proven this to be very true. After transforming the school and their community, they have decided to share their knowledge with others, both in their province and around the country. The Solar School offers training courses for people interested in learning and bringing back with them these techniques to likewise improve their communities. The result is a movement spreading across the country, inspiring similar projects, similar training centers, and similar improvements nationwide. 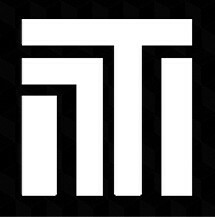 Perhaps Thailand as a nation can then serve as a model for other nations in the region and around the world to use in decentralizing infrastructure, making it easier to manage, and easier to improve not through inefficient political means, but by directly improving it with the hands and hearts of the very people using it. Advances in solar power coupled with a do-it-yourself attitude, plus Thailand’s deeply rooted notion of self-sufficiency is what has helped the Solar Monk and his school flourish. Information technology, and in particular, social media has been used effectively by the school to help spread their work even faster and further than their training programs. Only a finite number of people can pass through the school to train, but an infinite number of people can follow their work and learn from their experience via social media. Information technology also plays a key role in bringing open source curriculum gathered from the greatest educators in the country, and brought into the school through YouTube videos. Aspects of Buddhism, and in particular, the notion of moderation or the “middle path,” means that much of what the school attempts to do is very practical and down to Earth in nature. In addition to the technological and academic skills imparted on the children, daily meditation (merely the calming of one’s mind through 10-15 minutes of concentration) help build the patience and discipline often lacking in adults in modern society. Putting together academic, practical, and spiritual strength within a single individual is a powerful thing, and it is on clear demonstration at the school, and its effects are being felt throughout the community, and now gradually around the country. Does sitting in a classroom for 12 years reading books really help prepare someone for the real world? Or would learning about the world by diving straight in and doing projects be more useful? And by doing projects, could we change the very nature of education and the need to pay large sums to access it to something that is self-sustaining? Just as the school is self-sufficient in terms of electricity and food, it is also financially self-sufficient. It has accomplished this through a number of projects empowered by the very skills required to achieve power and food self-sufficiency in the first place. Their expertise in setting up solar power systems often sees them hired locally to set up projects, including for the 22nd Army unit who contracted them to set up two solar-powered water supply pumps for villages as part of a local development project. Some of the solar kits made and sold by the school to help sustain itself. Putting the kits together require basic electronic skills including soldering which once again helps students learn practical skills they can apply later on in life. 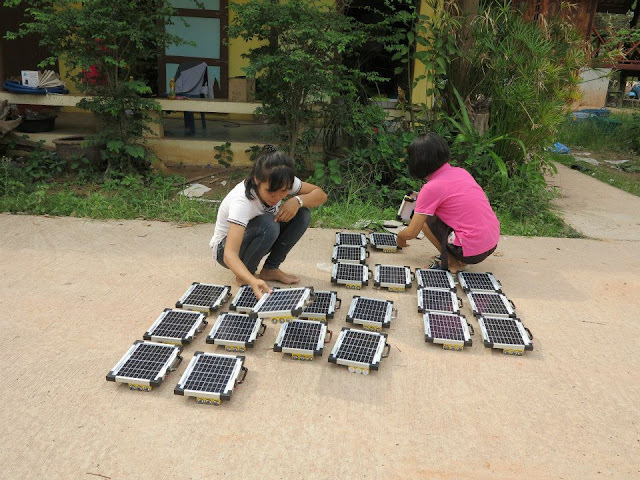 The school also develops solar kits which they sell to raise funds. Some are as simple as a solar powered flashlight to help promote and teach the basic principles of solar power. Others are entire systems to power your home, which you purchase from them to help support them financially in exchange for training on how to install and use the system. Finally, their onsite organic farming often produces a surplus which is sold locally to earn extra income. The school and its Solar Monk are constantly looking for new skills to teach students to help directly empower and enrich their lives demonstrably. If a school’s success is only based on test scores, taking tests is all students will be able to do when they graduate. If a school’s success is based on the impact it and its students have on the community and country, then students will be able to improve their world tangibly when they graduate. The Solar School and its Solar Monk are setting an example of what a school can be, and proving that indeed you can change the world by just working hard to change your own community first. You’re reading this now, wherever in the world you may be, because of their hard work and dedication, and maybe, just maybe, they might inspire you to begin changing your little corner as well. Together with them and people like them, you will begin changing the world.